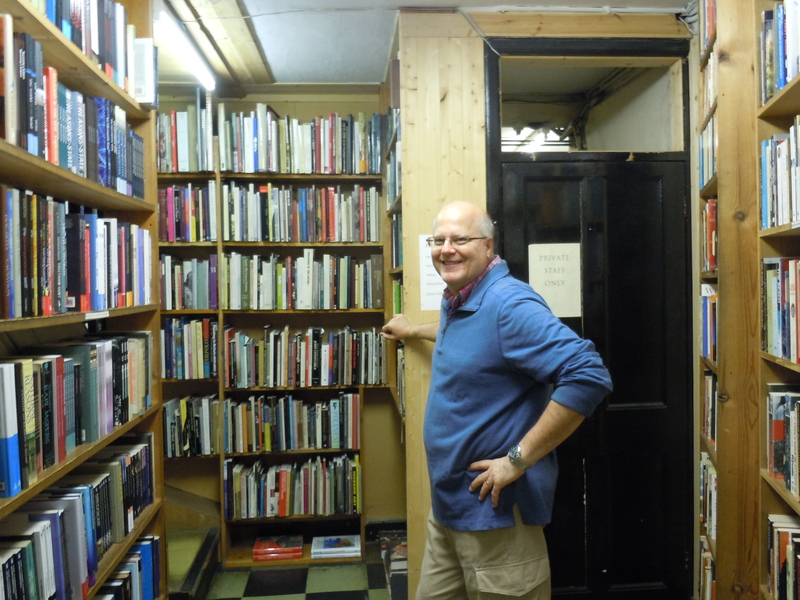 In London there is an area around Charing Cross Road that is loaded with used bookstores. It’s not as packed as it was when I first visited in 1995, but there are still a fair amount still around. Quinto Books is one of them. I don’t mind mentioning that we came home from this vacation barely making our luggage weight because of all the books we bought. 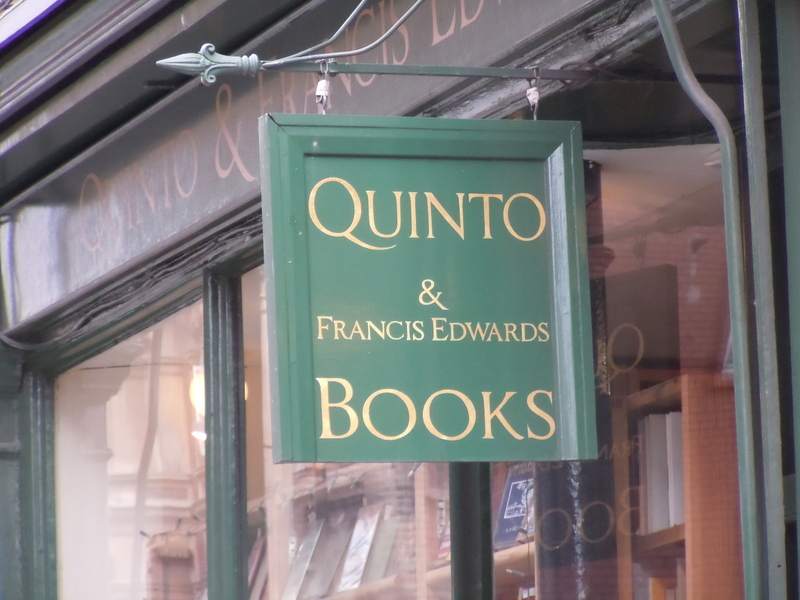 Not only did we spend a serious amount of hours in Blackwell in Oxford, we also spent the better part of a day knocking around Quinto’s and others like it on Charing Cross. 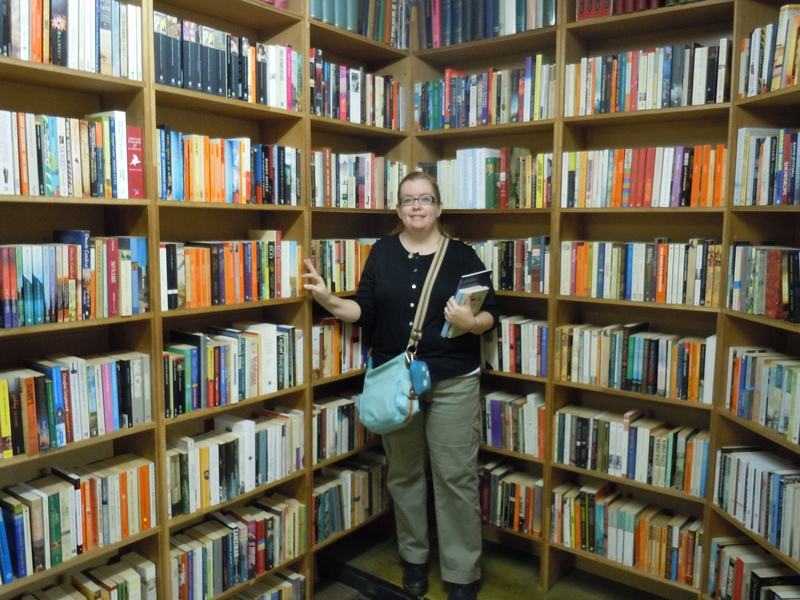 Kosta was looking for history (Ancient Greek or WWII) and music books, while I was intent upon handsome old volumes of fiction and life in Tudor England. We each came away happy, as you can see. Okay, I’m, hooked. LOVE this blog theme and will FOLLOW. I have scrolled back through a few of your #Challenge posts. A writer, addicted to books, gardening, travel, you have provided me a kindred spirit. Who can resist Dr. Martin. Charing Cross Road, the movie, is losing its color from the years of watching. Love that you can actually read this blog, uncluttered with too much stuff, well done! If you have time or interest, I have been writing about hotels and inns this month. Hope I see you. I know we could talk all afternoon.